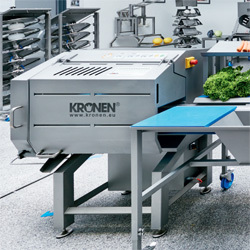 The German company, Kronen GmbH is a global supplier of machines and systems for the catering, delicatessen, fresh-cut and food industries. Their machines have been delivered to more than 100 countries around the world. Kronen produces special machines which wash, peel, cut, sterilise etc. fresh, ready-to-cook fruit, vegetable and salad mixes and then pack them. These machines feature highly modern control units and – for flexible set-up for certain work processes or product batches – are capable of parametrisation. This requires the operator to have a certain degree of technical education, which cannot always be guaranteed in some smaller customers. Therefore, Kronen GmbH wanted to equip their machinery with remote access, enabling parametrisation of globally installed machines as well as remote maintenance by the machine manufacturer or service provider. The remote access needed to meet highest demands with regard to global availability, operational safety and importantly, in this competitive industry - be feasible at low costs. In close cooperation with the machine manufacturer Kronen GmbH, their machines are now enabled for remote access by Schildknecht using Tosibox. The product is predominantly applied successfully for Kronen machines, pineapple and melon peeling machine AMS 220, UVC Lock, Multicorer and the latest washing machine GEWA XL. The TOSIBOX® Lock is integrated into the control cabinet of each machine to establish secure remote access via Ethernet, WLAN or a cellular modem. Via a TOSIBOX® Key or Mobile Client the secure and easy access to the machine is possible from everywhere. Settings and adjustments in the machine program can be realised anytime. 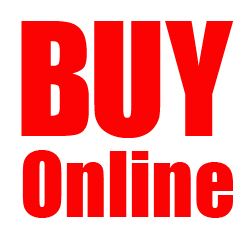 The technology also allows connection establishment by the operator who thereby at the same time gives his consent for communication. Thanks to the intelligent TOSIBOX® Plug & Go™ technology connections established this way are particularly safe. Tosibox is nowadays applied as a standard component in the control units of Kronen machines. Easy installation: Easy set-up of the system enables faster installation and reduces the need for IT knowledge at the installation site or service provider. Total cost: The efficient concept makes systems feasible at a low cost and reduces the costs of local maintenance. Security: Tested & audited security increases safety for the customers. Mobility: Mobile Client enables access to the machine from everywhere. Tosibox are our latest new supplier, but some of our technical and sales engineers have already been fully trained on their latest product range. If you have any questions about their products, or would like to see exactly how easy it is to set up and use, call 01254 685900 and ask to speak to one of our experts. They will be happy to help.